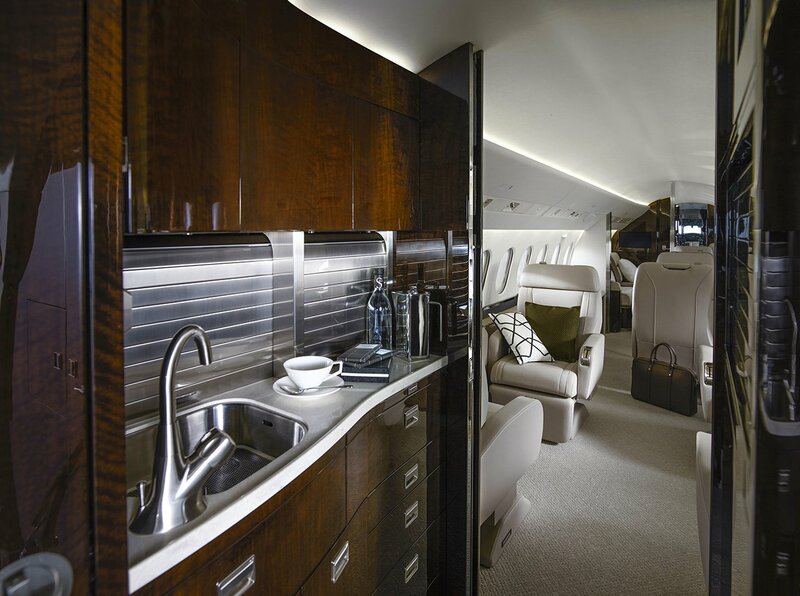 The new 900LX features a redesigned, highly refined cabin. No detail has been overlooked, from the shape of the credenza to the style of the seats, to create a noticeable difference in comfort, convenience and connectivity. 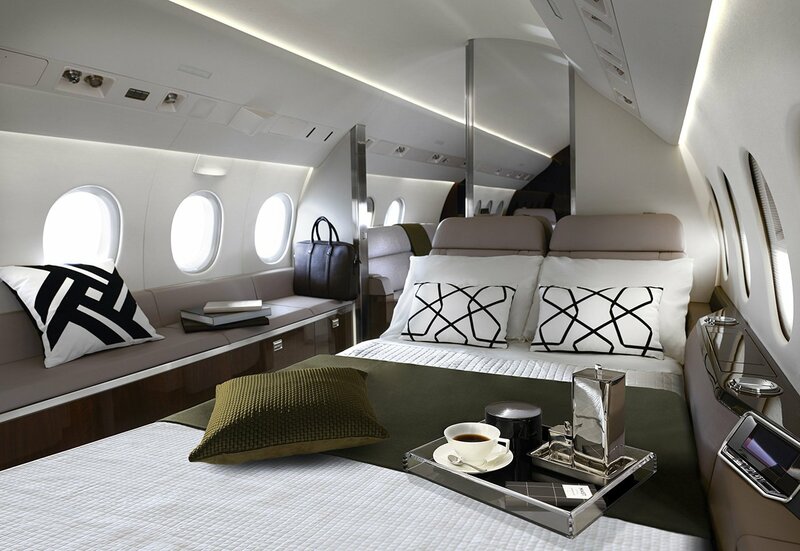 Fueled for a 3,000 nm (5,556 km) trip, the Falcon 900LX can depart runways of less than 4,000 feet (1,219 m) at sea level and less than 6,000 feet (1829 m) in Denver-like settings a mile above sea level. It also gives you access to challenging airports, such as those at London City, Aspen, St. Moritz, Gstaad and Toluca. Even on warm days, the 900LX delivers ample range from high elevations. The typical approach speed of the 900LX is 111 knots (206 kph), more than 10 knots slower than the nearest competitor, providing access to shorter runways and higher margins of safety on landing. At the other end of the envelope, top speed is a brisk Mach 0.87, with a typical cruise speed of Mach 0.80. Like all Falcons, the 900LX has no speed limitations in turbulence – a testament to efficient design and rugged construction. In addition to airfield agility, Falcon’s trademark trijet design allows more direct, over-water routing. It’s an advantage that saves time and fuel, while also enhancing safety for greater peace of mind. Fuel consumption up to 40% lower than competitors shrinks operating costs and carbon footprint. 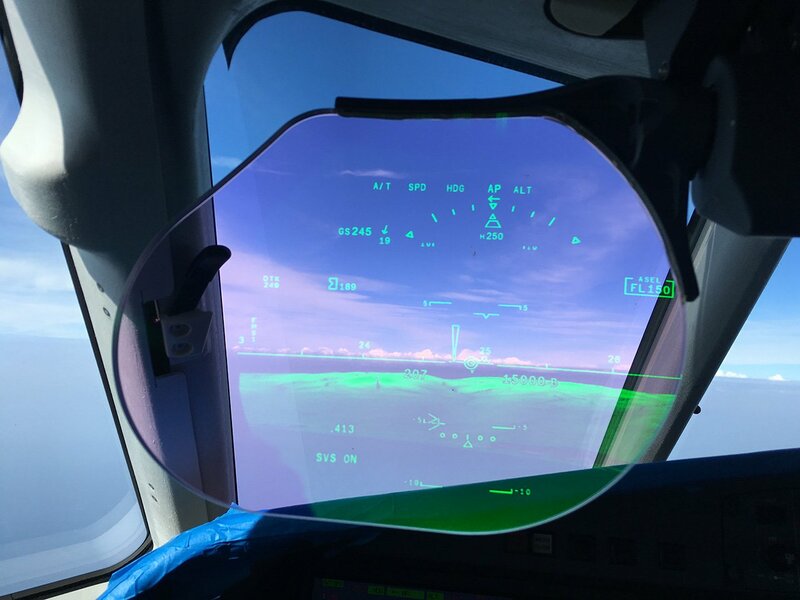 Dassault’s combined vision system, FalconEye, is an industry first, featuring an optional wide-screen Head-up Display integrating enhanced and synthetic vision for vastly improved situational awareness in low-visibility conditions. 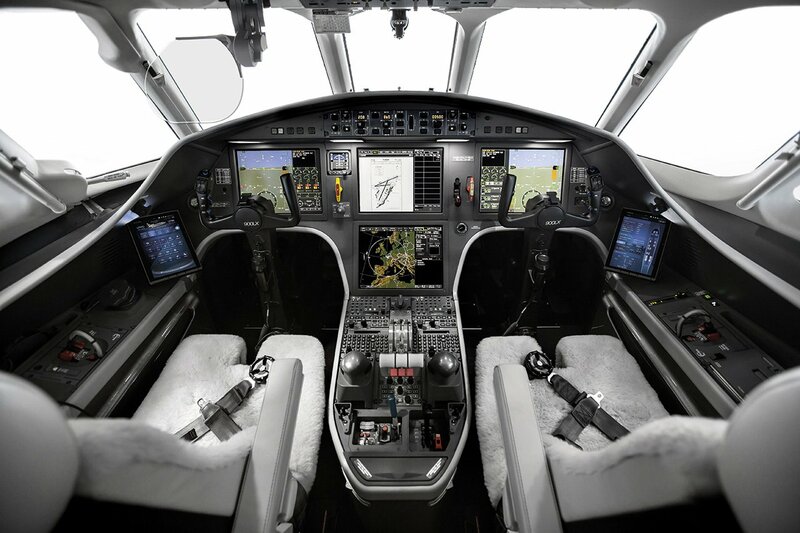 Highly intuitive and interactive, Falcon’s EASy II flight deck draws on learning from Dassault’s fighter jet programs. With EASy II, jet and pilot fly as one. 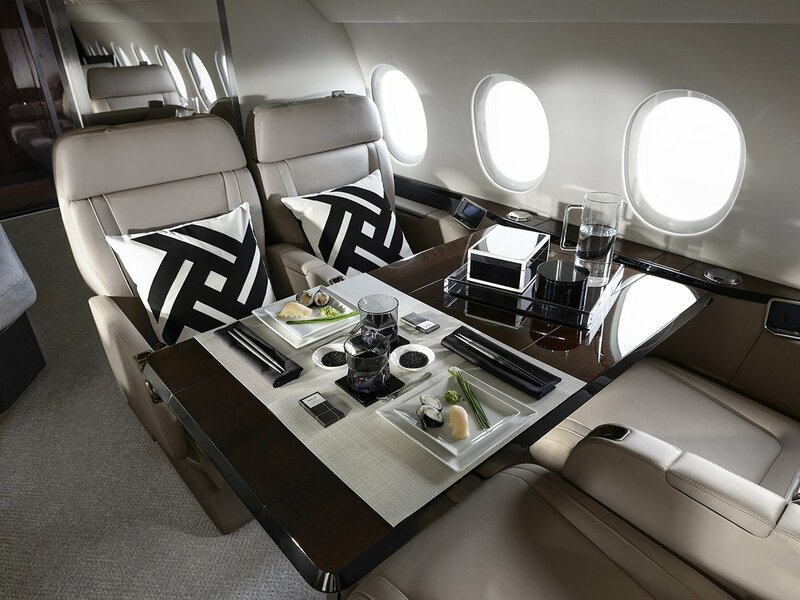 Elegant in design and smart in function, this wide-body cabin is equipped with Dassault’s advanced FalconCabin HD+ management system. 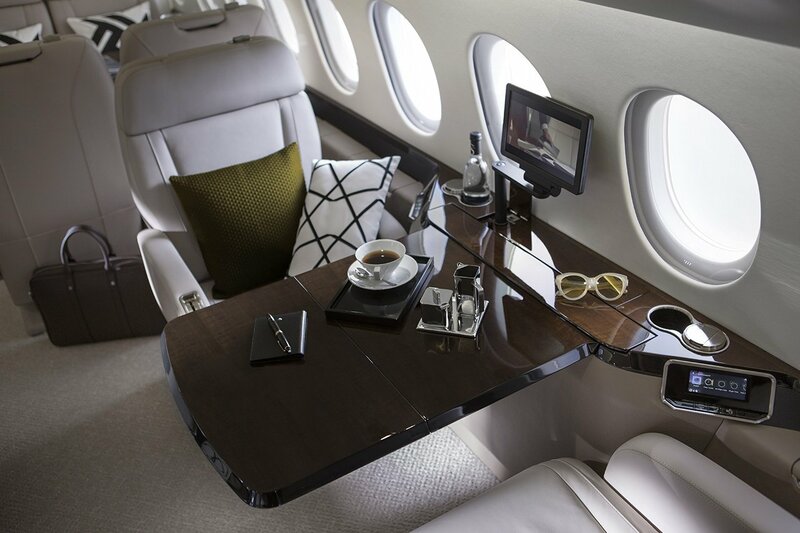 Custom-crafted furnishings, selected by the customer at one of our interactive design centers, are meticulously installed by Dassault Falcon, assuring top quality. 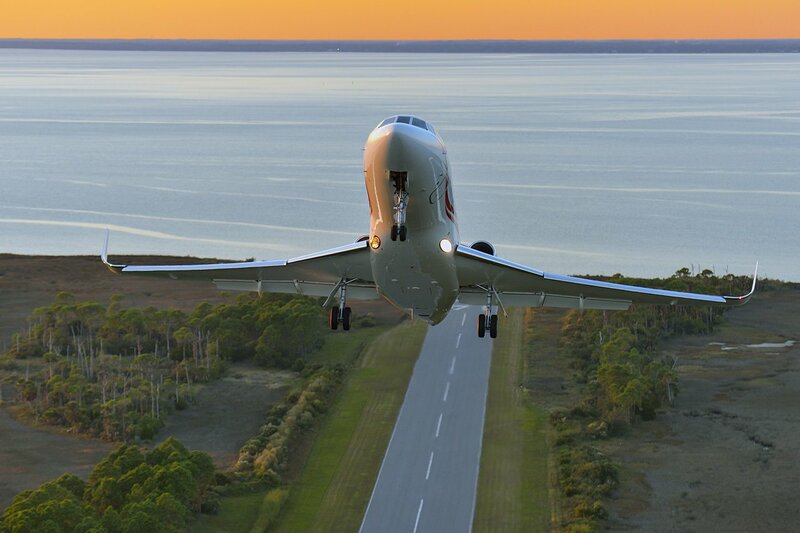 Falcon trijets provide slower, safer approach and landing speeds. Their three-engine configuration also provides peace of mind on long routes over water and uninhabited terrain. 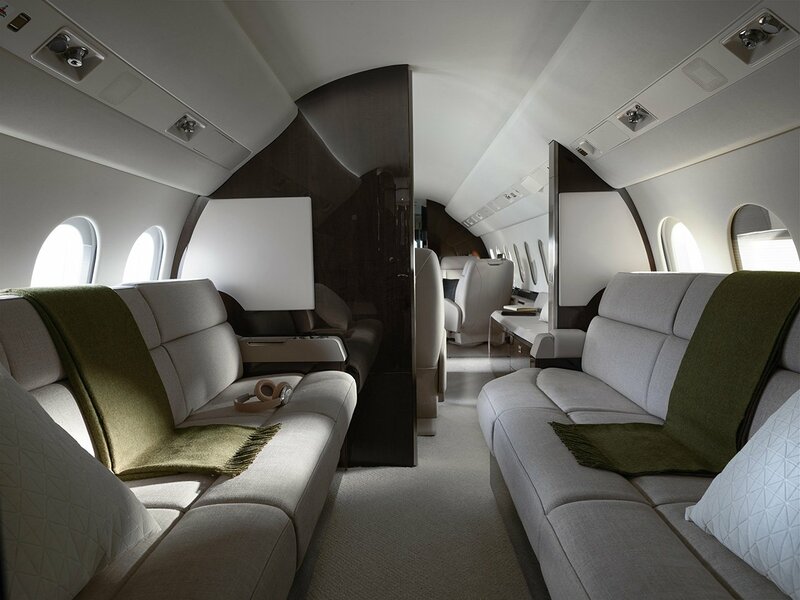 An advanced wing and area ruling of the fuselage plus leading-edge slats and double-slotted Fowler flaps deliver substantial benefits throughout the flight regime. Three fuel-efficient Honeywell TFE731-60 turbofan engines are rated at 5,000 lb (22.24 kN) of thrust each (up to ISA + 17°C) and deliver superb performance under extreme conditions. This new refinement to the 900LX wing extends the aircraft’s range to 4,750 nm (8,800 km) and enhances fuel economy by 40% over competitors. Strong yet light, agile yet smooth, powerful yet efficient. 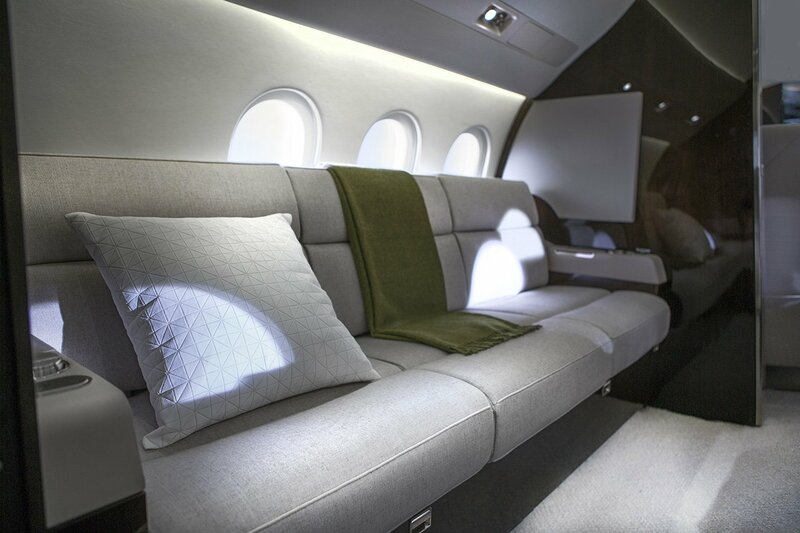 Many of the 900LX’s finer attributes result from technology developed for Dassault’s military programs. Like any good fighter jet, its design assures pilots of precise aerodynamic feedback, without the need for the complex supplementary systems required by other business aircraft. Handling is precise, and potential dangers are easily avoided. Many other design features, such as double-servo actuators adapted from Dassault fighters, further augment safety margins. While highly efficient at high speeds, the 900LX wing is equally adept and well mannered at low speeds, which accounts for its impressive short-field performance. Leading-edge slats and double-slotted Fowler flaps deploy on approach. Airbrakes help with precise glide path control and add stopping power on the ground. The addition of High-Mach Blended Winglets effectively increases wingspan and lift, while reducing span-wise airflow and drag. Other benefits include reduced stall speed, improved time to climb, and an increase in range of about 200 nm (370 km), allowing the 900LX to fly farther on less fuel. Three Honeywell TFE731-60 engines power the 900LX. Each produces 5,000 pounds (22.24 kN) of thrust at sea level up to ISA +17°C and provides unbeatable efficiency in this power range, along with a reputation for low fuel consumption and quiet operation. With more than 11,000 engines entered into service and 100 million hours of operation logged, the reliability and performance of the TFE731 series are more than proven. The 900LX cabin measures 6 feet, 2 inches (1.88 m) tall and 7 feet 8 inches (2.34 m) wide – dimensions that translate into easy stand-up, walk-about comfort. With 6 feet 3 inches (1.91 m) of width available at floor level, the aisle is broad and individual seats offer plenty of recline.At 33 feet 2 inches (10.11 m), the cabin’s length gives you three distinct lounge areas for work, rest and relaxation, allowing you to optimize the use of your time on long-range flights. 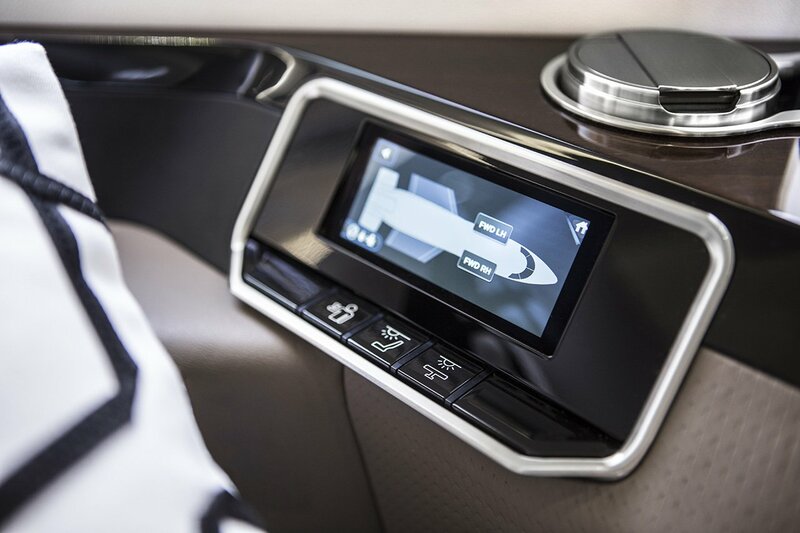 Passengers onboard the 900LX enjoy a full complement of entertainment and connectivity tools in an exceptionally user-friendly format. FalconCabin HD+ puts advanced cabin control at their fingertips, from anywhere in the cabin, via iPhone®, iTouch® or iPad®. Among the system’s many features is its Skybox™ wireless media server with vast iTunes® video and music capacity. 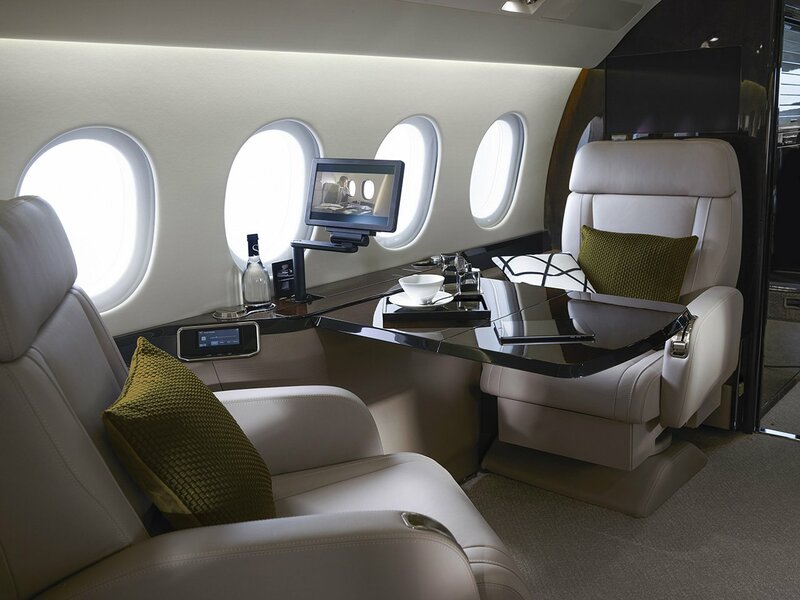 Falcon 900LX customers can also opt for SATCOM voic​e and broadband data service.